With the government clamping down on combination drugs, the latest market data shows that in March the fixed dose combination (FDC) market declined by 56.4 per cent, when the non-FDC market showed a growth of 9.2 per cent and single molecules grew by 9.4 per cent. An FDC drug is one that contains two or more active ingredients in a fixed-dosage ratio. Last year, the government had banned over 340 ‘irrational’ FDCs, which were found to be posing health risks to patients. More FDC drugs are under the scanner at the moment, which may also come under the ban. As a result, pharmaceutical companies have pared their exposure to FDCs and are also restricting the launch of new combination drugs. “Before the ban was enforced mid-last year, we had braced for the same and weeded out FDCs from our domestic portfolio. Henceforth we have been cautious about launching new combination drugs. As such the government is studying the efficacy of another 940 FDCs and therefore, there is a sense of uncertainty in this market,” said the chief of a leading pharmaceutical player. The data from market research firm AIOCD Pharmasofttech AWACS reflected the mood in the market. In March, the market related to FDCs saw a decline of 56.4 per cent. The price component for the FDCs saw a 1.3 per cent growth, while the volumes shrunk by 57.9 per cent, AIOCD AWACS said. In comparison, the non-FDC market grew by 9.2 per cent, while single molecules saw a 9.4 per cent growth for the month. In terms of the moving annual turnover, which reflects the last 12 months’ data, the FDC market saw a 20.6 per cent decline in value terms to Rs 641.6 crore, while the unit sales fell by 16 per cent or so. The non-FDC segment saw a 10 per cent growth in value terms to Rs 62,517 crore, while the single molecule market grew 9.6 per cent to Rs 67,347 crore. The overall Indian pharma market grew 9.6 per cent to Rs 1.3 trillion. 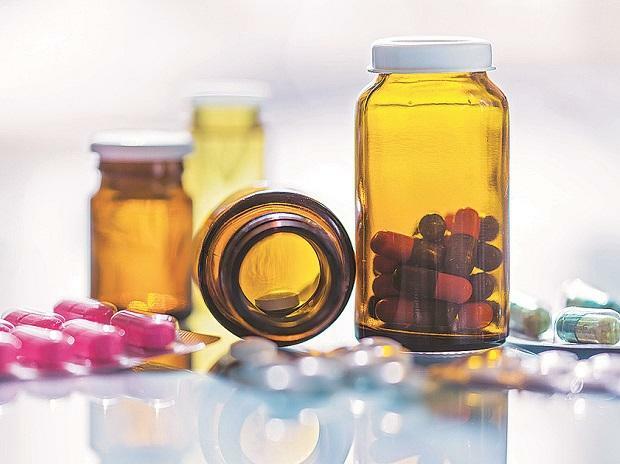 Sudarshan Jain, secretary general of the Indian Pharmaceutical Alliance that represents the research-based pharma companies in India, pointed out that the FDC market captured in the AIOCD AWACS data refers to those that have come under the scanner. “There are many approved FDC drugs too. Cardiovascular and some other therapies would see more combination drugs. However, for any new drug to be launched, one has to take regulatory approval, which is stringent now. The ban on the ‘irrational’ FDCs is in the interests of the patient,” he said. Jain further noted that companies have consciously moved away from the FDCs that are already under scanner and a ban is probable in the near future. Another senior official in a domestic pharma company said that only small- and medium-sized players continue to make those FDCs that are under scrutiny, and most big firms have already weeded those out of their portfolio. In March 2016, the Ministry of Health and Family Welfare had implemented a ban on 349 FDCs based on recommendations of the Chandrakant Kokate Committee that found these drug combinations to be irrational and posing health risks. In December 2017, the Supreme Court referred the matter to the Drug Technical Advisory Board (DTAB) for a fresh review after drugmakers challenged the ban. The DTAB, in a meeting held in New Delhi in July last year, reinforced the ban on 343 of the 349 drugs. At that time, the market for these FDCs was estimated to be around Rs 2,000 crore or so. Subsequently, the health ministry had banned the manufacture, sale, and distribution of 328 FDCs of drugs in September last year. Manufacture, distribution and sale of some FDCs (for example, Saridon by Piramal Enterprises) were allowed eventually, following favourable court orders.